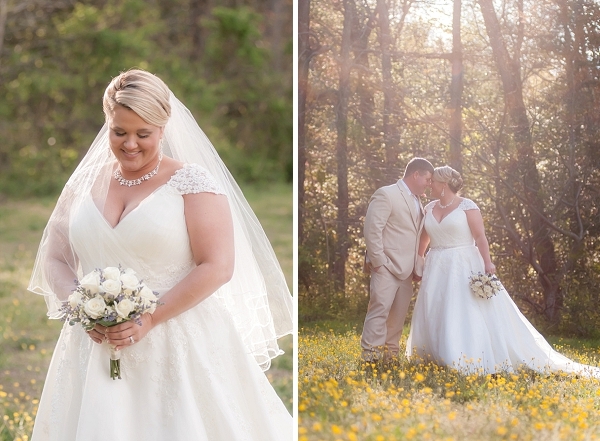 We love a down home country style wedding, and Carrie and David's celebration at Harley's Haven in Windsor is no exception! 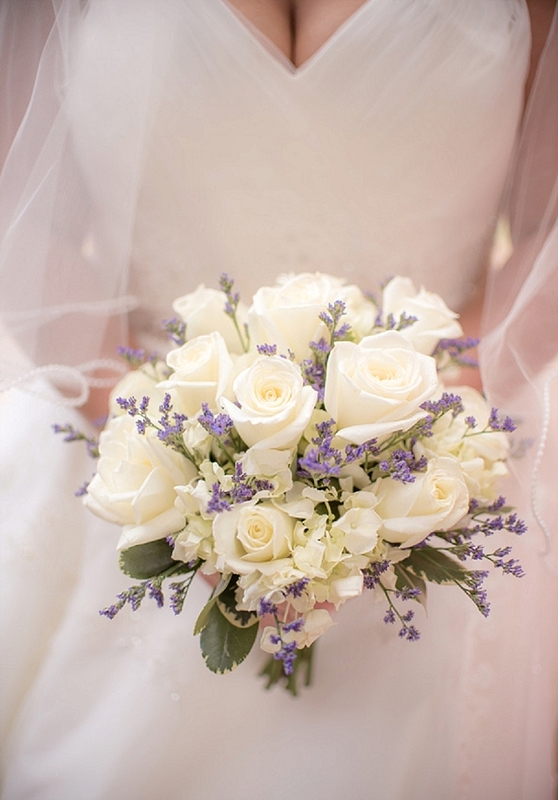 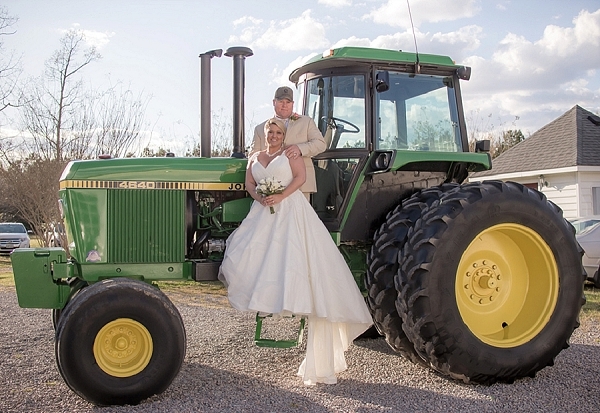 The bride and groom both come from farming families so it was no surprise that tractors, cotton, ham, and peanuts were incorporated into their special day. 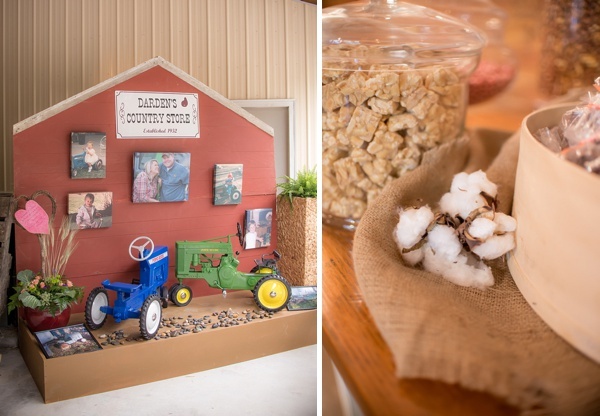 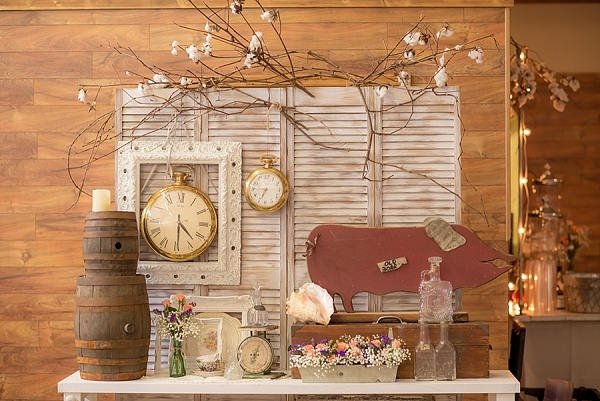 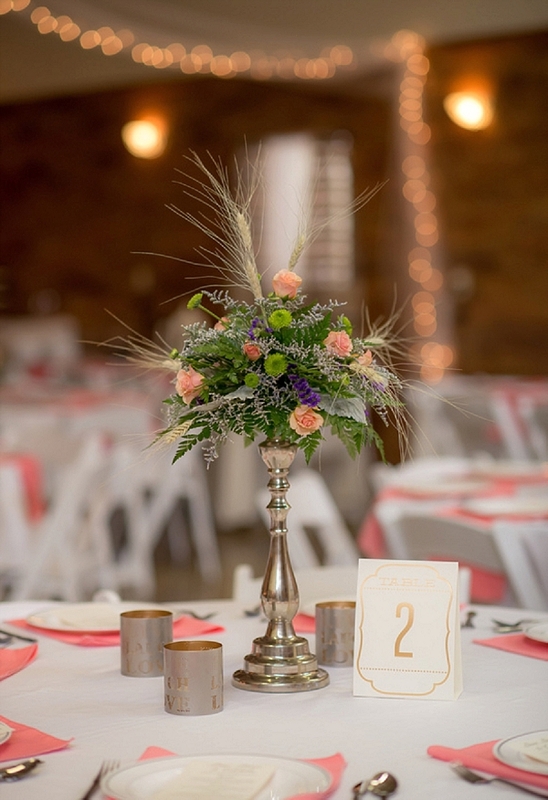 The rustic-themed love didn't just start at the wedding-- they had even met at Carrie's parents' little country store (which you'll see the homage to in one of the details below!) 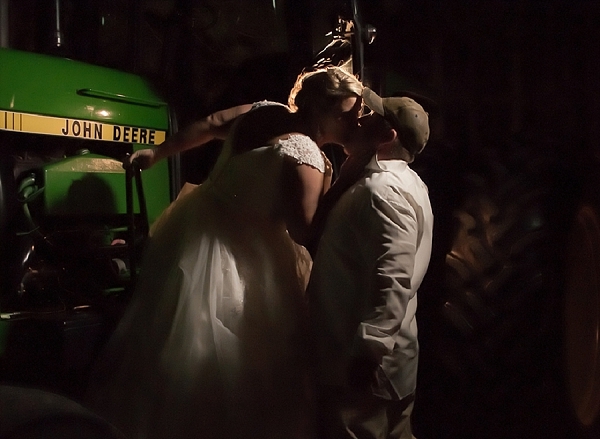 and got engaged in a pumpkin patch! 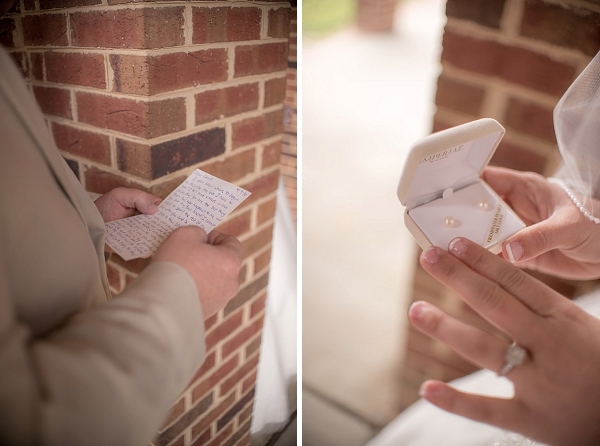 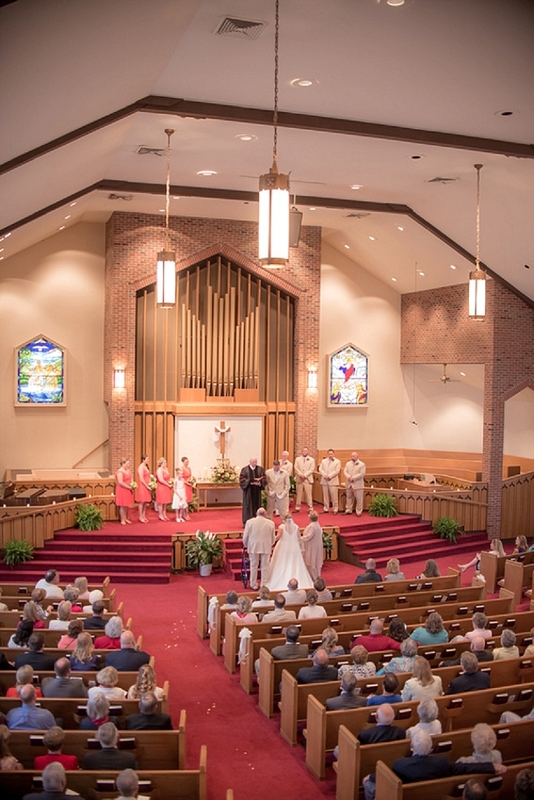 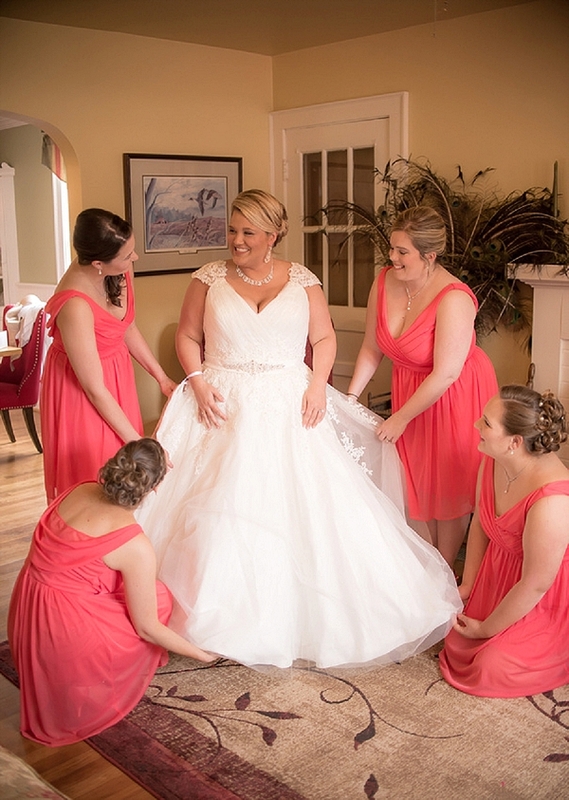 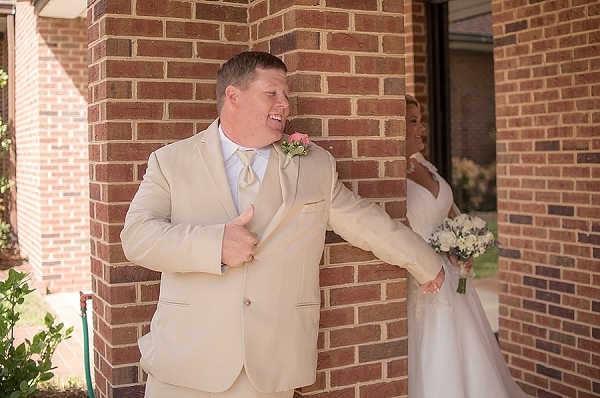 Even though it was unseasonably chilly and flurries fell the morning of their wedding, the skies cleared just before the ceremony at Smithfield Baptist Church, and the couple shared a sweet moment before they saw each other as they exchanged gifts. 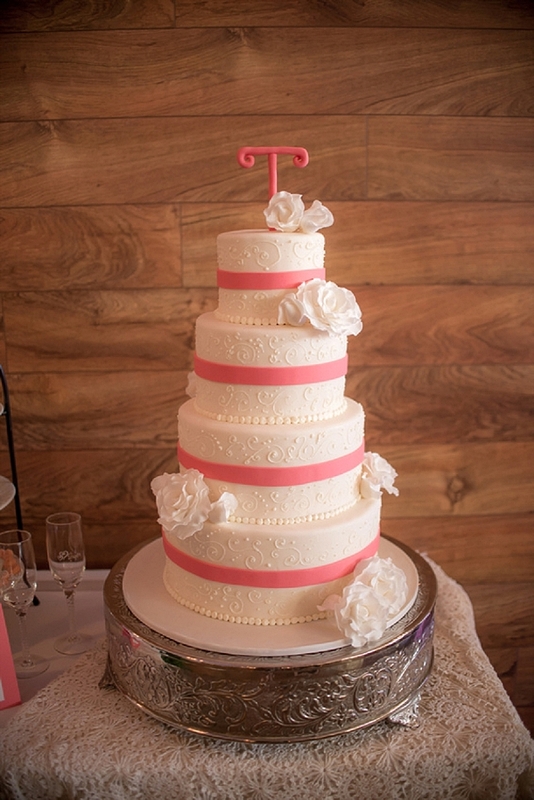 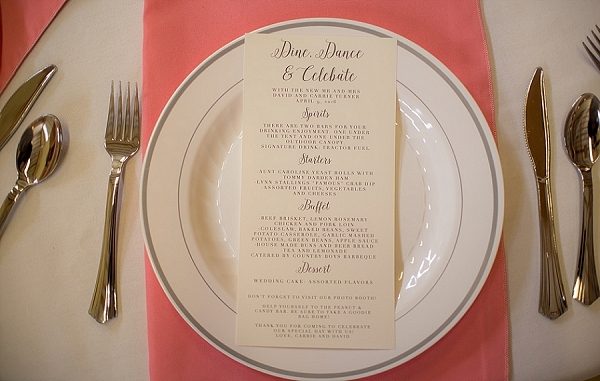 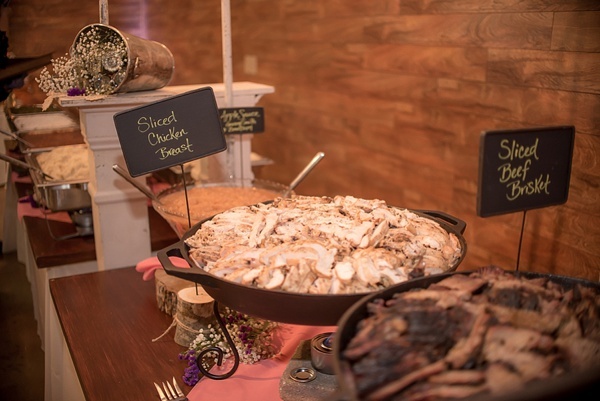 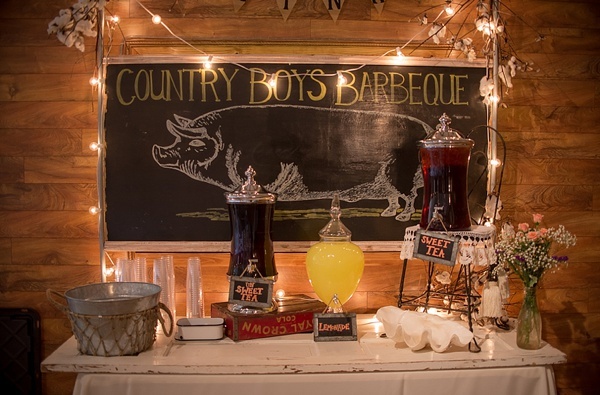 When it came to their BBQ-lovin' reception, it was all about food and family. 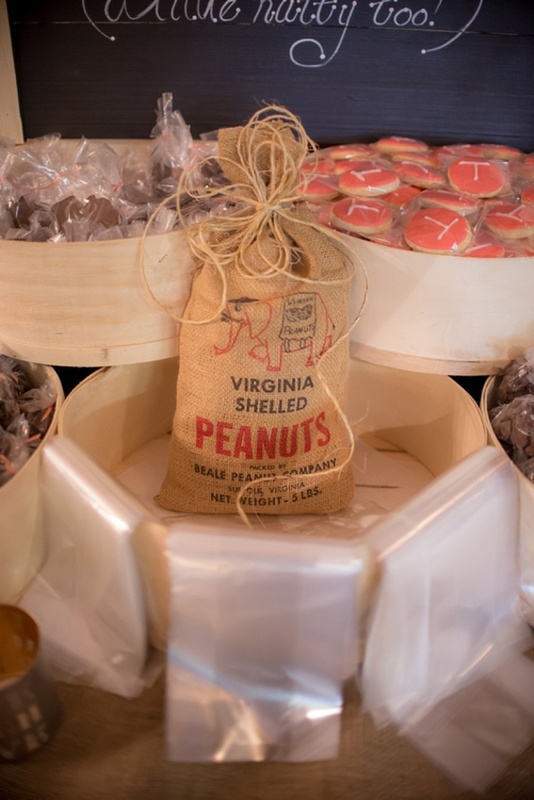 Captured by Homeworks Video Productions, we love the vintage setup in front of a reclaimed wood wall, the food served in large iron skillets, Virginia peanut wedding favors, and the John Deere tractor groom's cake; it all tied in perfectly for these two lovebirds.